Whether it is early days or long-term relationship, buying gifts for your other half comes with added pressure. What do they want? What do they need? and what if you end up getting it wrong? Well hopefully not. Gone are the days of gimmicky gifts – It’s time to spoil your man in style. Up your game this Valentine’s Day with Ribbon and Bow’s gifting tips. When deciding on the best valentines gifts for him, it is important to remember this is not about what YOU like, make it about your man! Guys like to look and feel good, so include a lovely grooming product. Keep it fun! Add a little item that will make him smirk. Stay stylish! A unique trendy item that he will make use of will be appreciated. Set the mood. What better way to do this by having lovely scented candles. Why not put all of these things together to make a unique valentines hamper for him. 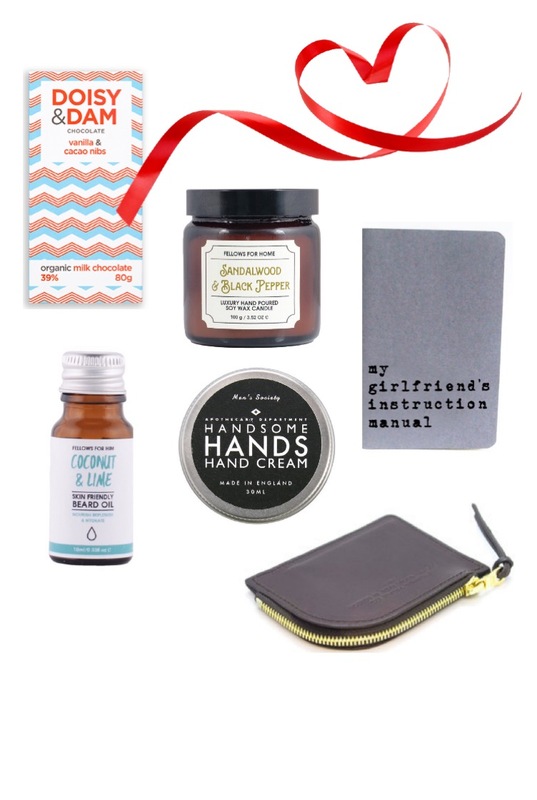 What are you getting the man in your life this valentines day?